We care about statistics that can improve the understanding of human health. We get our inspiration by interacting every day with researchers, clinicians, epidemiologists, and public health professionals. Taking care of the challenges is the chance we have to move forward. 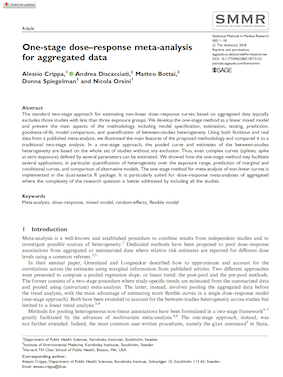 We develop the one-stage method as a linear mixed model and present the main aspects of the methodology, including model specification, estimation, testing, prediction, goodness-of-fit, model comparison, and quantification of between-studies heterogeneity. 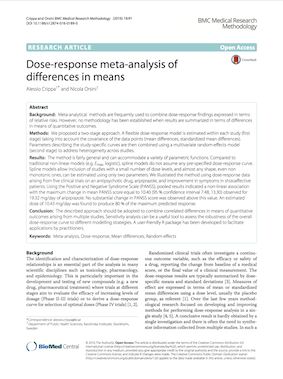 We present a pointwise approach for meta-analysis consisting in combining predicted relative risks for a fine grid of exposure values based on potentially different dose-response models. 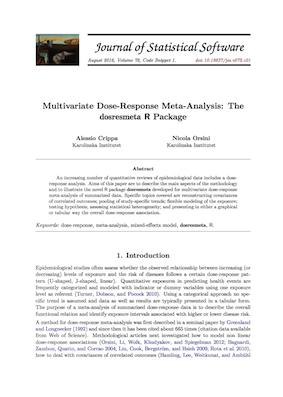 We describe the main aspects of the methodology and illustrate the novel R package dosresmeta developed for multivariate dose-response meta-analysis of summarized data. 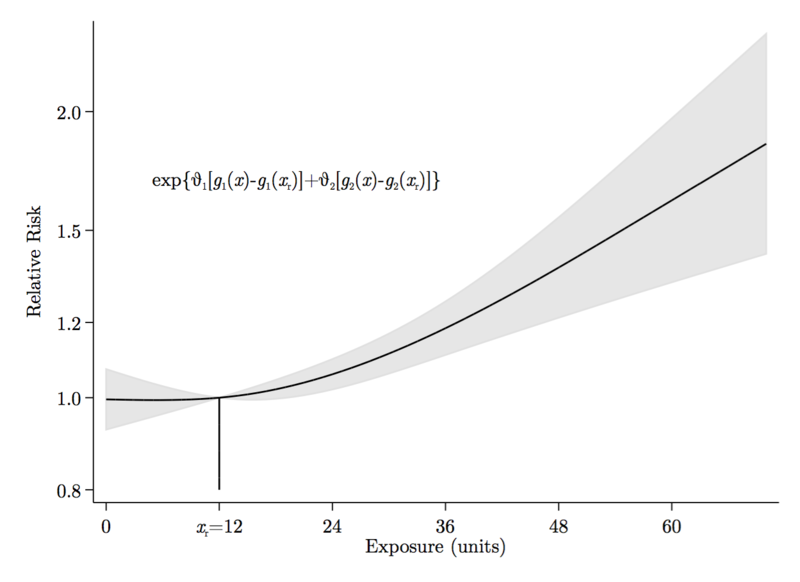 We introduce multiplicative statistical models for conditional survival percentiles and present their use in estimating percentile ratios and multiplicative interactions. 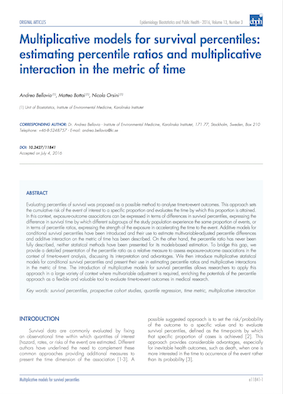 We describe an approach to combine correlated differences in means of quantitative outcomes arising from multiple studies. 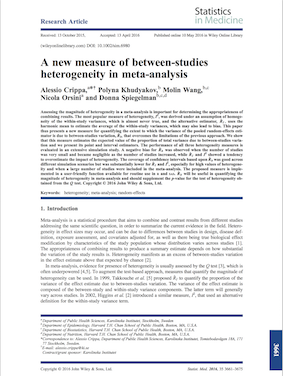 We propose new measure of between-studies heterogeneity in meta-analysis. 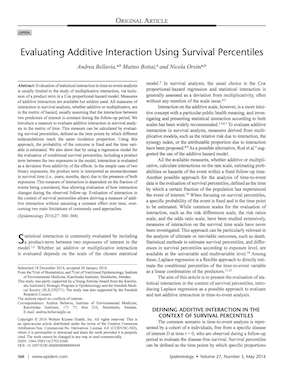 We introduce the topic of interaction analysis based on survival percentiles. 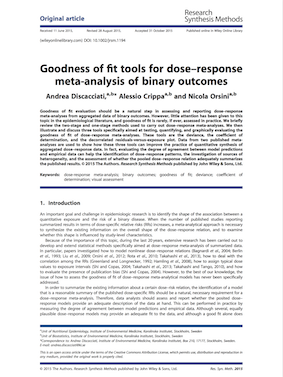 We present and discuss three tools that can be used for testing, quantifying, and visually displaying the fit of dose-response meta-analytical models. 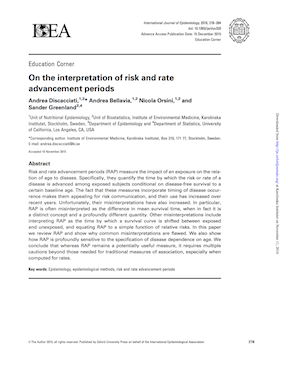 We advise users and readers to be alert to these problems and treat RAP measures with more attention to carefully worded interpretation than is the custom for traditional measures such as relative risks. 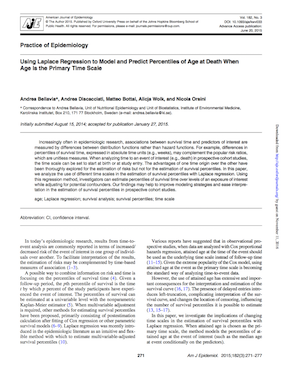 We explain how to model survival percentiles when age is the time-scale. 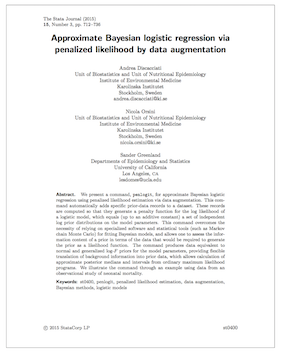 We present a command, penlogit, for approximate Bayesian logistic regression using penalized likelihood estimation via data augmentation. 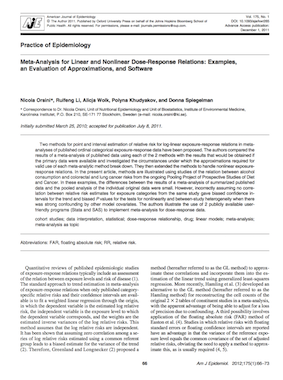 We present a command for estimating Laplace regression, which models quantiles of a possibly censored outcome variable given covariates. 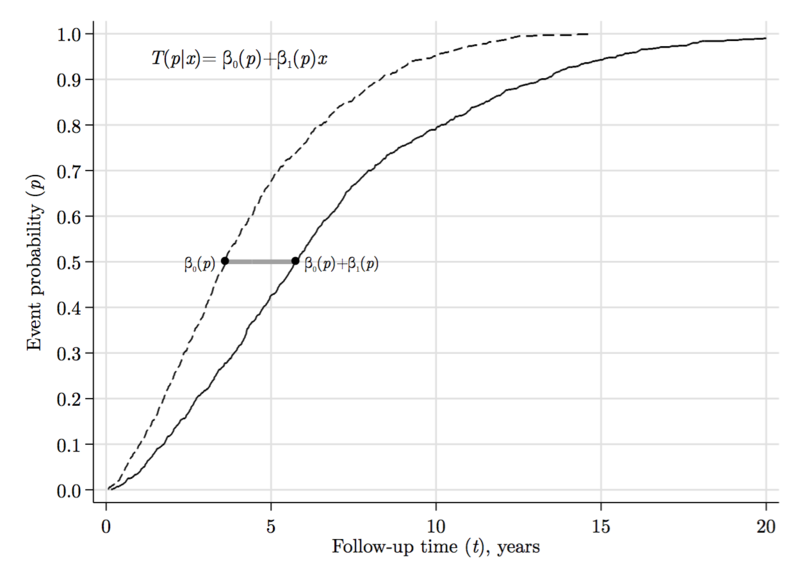 We provde examples and evaluate approximations using data from the Pooling Project of Prospective Studies of Diet and Cancer. 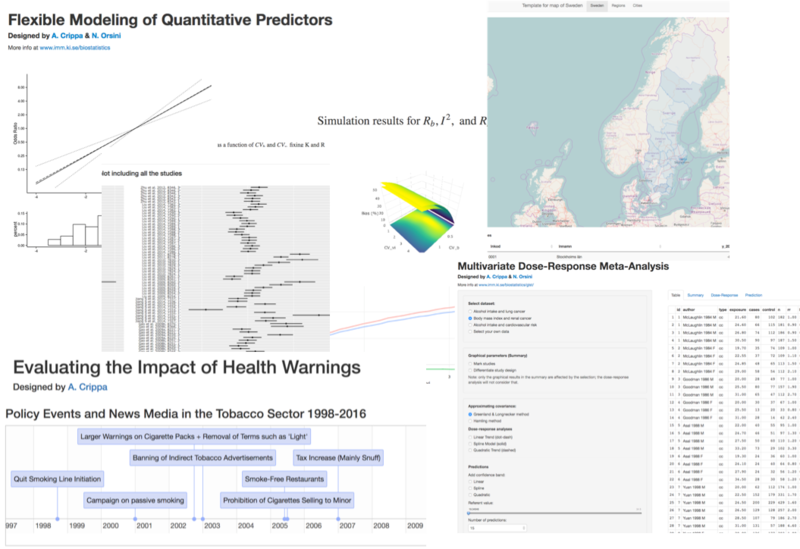 We are team of scientists that aims to gather statistical and methodological expertise across the Department of Public Health Sciences (Karolinska Institutet) and Centre for Epidemiology and Community Medicine. 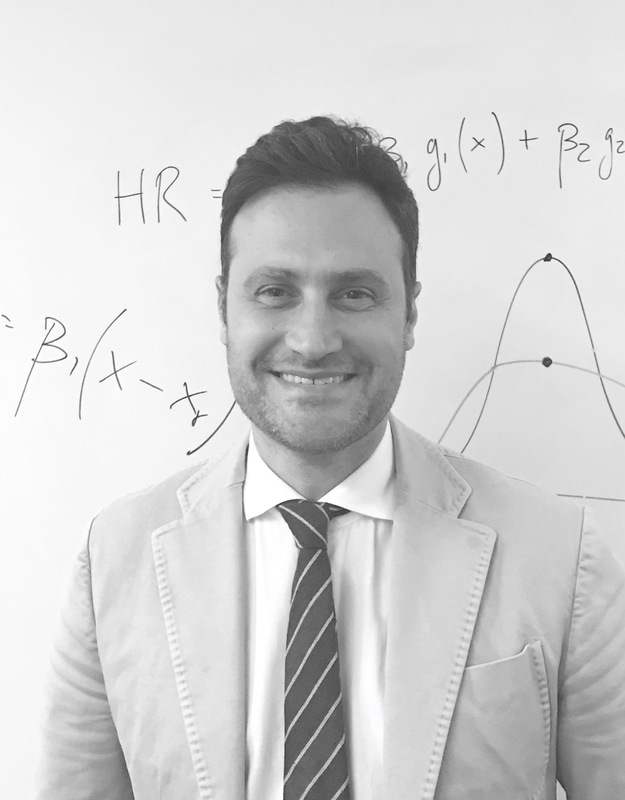 Our goal is strengthening the research capacity in epidemiology and public health and exploiting the richness and interdisciplinary work carried out within the Department. 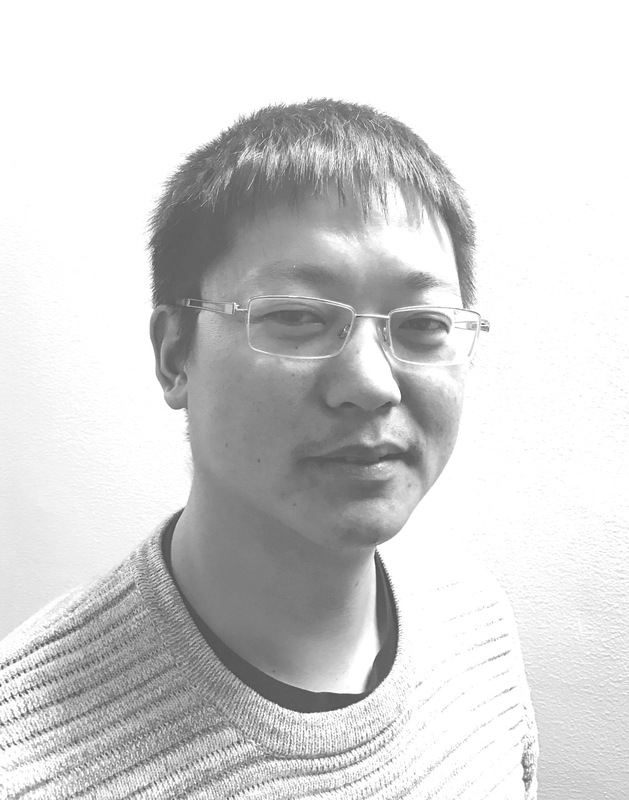 We have passion for statistics applied to life sciences. 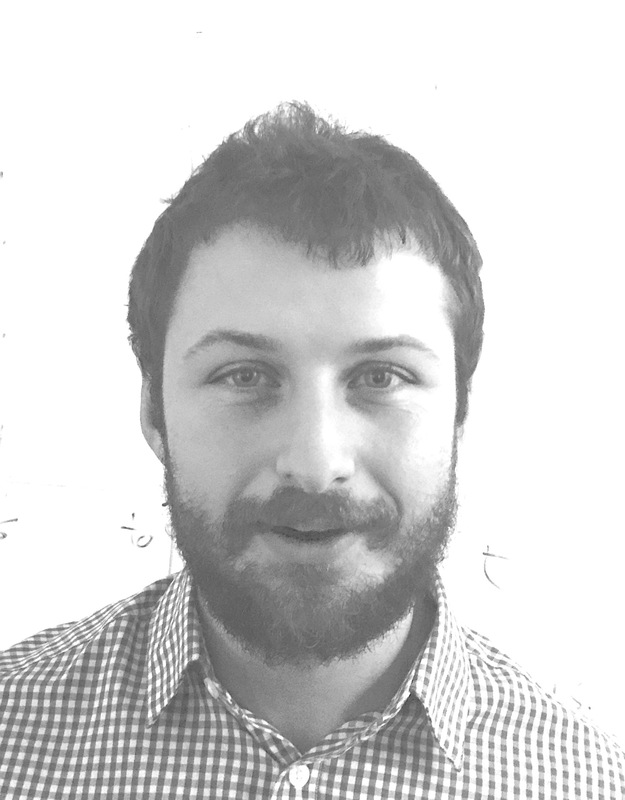 We like to learn and think with data. We like to share what we know and possibly solve problems. 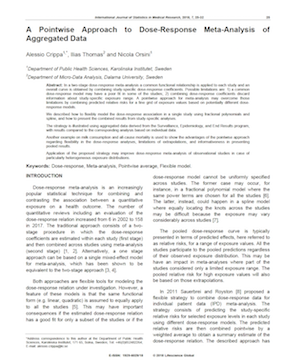 The Strategic Research Area in Epidemiology (SFO-Epi). 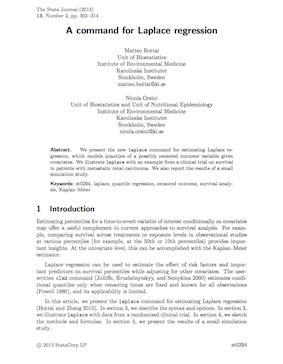 We are involved in education of medical statistics within Karolinska Institutet. We organize workshops, seminars, and short courses on statistical methods. 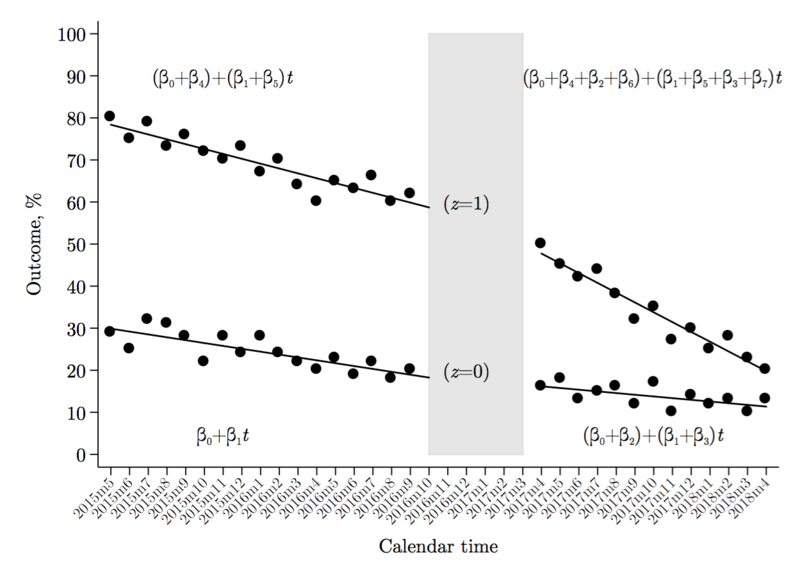 Given the important role of statistical software in medical research, we often teach both basic and advanced courses on statistical softwares (Stata, R).